Stuck on that fastener? Are you close to giving up? You can try to remove it by hand, but if you don’t have the appropriate tool, you can run yourself ragged. A lot of people who buy air impact wrench to help them out wonder why they didn’t purchase them years ago. That’s how efficient they are. 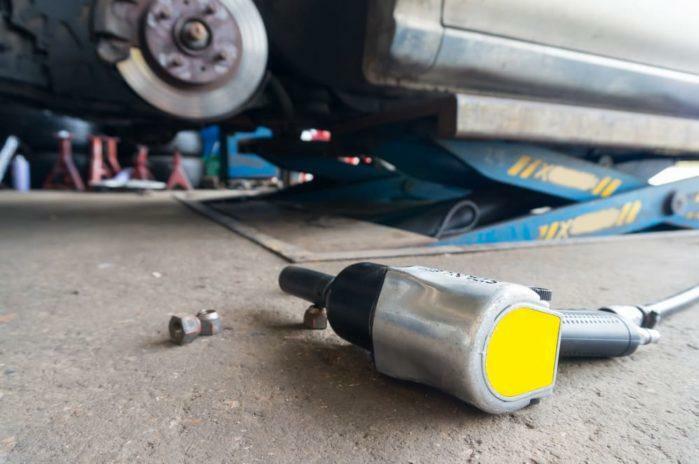 In this article, we’ll help you pick the best air impact wrench. We’ll also discuss some of its advantages to assist you in your decision further. It is for one-hand use only. It comes fully lubricated right out of the box so you can immediately start using it. It is the lightest impact wrench out of the five choices. It is the most powerful impact wrench in both torque and speed. It’s the most budget-friendly option. Advantages of air impact wrench: Why should I buy one? You can remove and install fasteners faster. You can install fasteners more securely. It’s cheaper than an electric impact wrench. The power source is cheaper and more reliable. As the name implies, its power source is from an electrical outlet. These are significantly bulkier since they have a motor. They are also less compact due to the existence of a cord, so your movement becomes more limited. In a way, corded impact wrenches have an advantage when it comes to a power source. It is quite rare that you find yourself in a situation without electricity if you’re working on home projects. Electricity as its power supply makes it reliable and convenient in that aspect. However, if your supply runs out or you’re somewhere that doesn’t have ready access to electricity, you’re out of luck. An instance might be if your tire goes flat in the middle of nowhere and you have to change it. Corded ones become useless in this regard. These are a bit more compact since it doesn’t have a wire for you to trip over and get in the way of your work. However, they are heavier because lithium-ion batteries power them. They are also the pricier option among the three. Though the batteries are rechargeable, allowing you to take them anywhere, the power may easily too. It poses a problem when it comes to the overall reliability of the tool. Furthermore, they are also weaker than air impact wrenches. The price you pay for portability might not be worth it if you’re looking for a stronger, more versatile tool. Because they’re weaker, they’re better for more delicate work compared to other wrenches. You don’t run the risk of stripping fasteners. With that, let’s get to discussing air impact wrenches. Air impact wrenches provide some advantages that will make your projects easier and more enjoyable. They let you do things that would typically be harder to do by hand. Because an air compressor powers it, it’ll surely be less physically straining on your part. Time is always of the essence. You don’t want to spend extended periods of time stressing over that one grip that just won’t budge. Not only is it physically taxing, but it’s also mentally exhausting. An impact wrench will help you get these fasteners out in a jiffy. It is the same when it comes to installing fasteners. Attaching them by hand takes a lot of time as opposed to doing it with an impact wrench. Tasks like these become less daunting and more fun if you can accomplish them in a snap. Imagine how most impact wrenches have an average speed of 8,000 rpm or revolutions per minute. Your hand can’t exactly turn a conventional wrench that fast, now can it? This speed translates into the time you save attaching and removing fasteners. If you’re working on large objects such as shelves, beds, or other large pieces of furniture, it should be sturdy. Sloppily attached fasteners can cause the furniture to fall, destroying your belongings and also potentially hurting others. 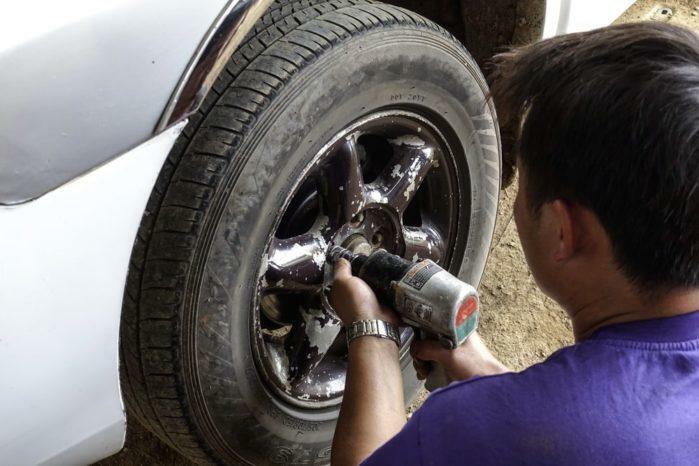 You can also use impact wrenches to secure lug nuts on wheels, or things that have engines like lawnmowers. These move around a lot so it’s of utmost importance that it’s tightly secured in place. It could cause serious injury if it isn’t. Impact wrenches have incredible torque power, so rest assured that when you install something with one, it can run for life. It’ll be tightly secured – tighter than anything you can do manually. Just be careful not to overtighten as it could strip or damage the fasteners. When compared to an electric impact wrench, the air impact wrench is definitely lighter and more compact. Electric impact wrenches have a motor which adds to its bulkiness while air impacts are operated through compressed air. Plus, the existence of a motor makes it more susceptible to damage. The compact size makes it easier to reach small spaces so you can use it wherever you need to. It’s also not that hard to take around because it doesn’t take up as much storage space. As mentioned above, electric impact wrenches have a motor included which makes it costlier. Furthermore, when they get damaged, it costs more to repair them. Air impact wrenches are easier to maintain because of how few their parts are. Air impact wrenches rely on compressed air, unlike electric counterparts that depend on electricity. When the power goes off, no one can tell that you are incapable of working. That’s the right thing about compressed air; it’s dependable. Furthermore, it’s cheaper to use than electricity. The DEWALT DWMT70773L claims to be heavy duty with its shock-resistant housing bumpers that protect the tool. It has a maximum torque of 650 feet pounds for that extra kick to remove those stubborn fasteners. It has a free speed of 7,500 RPM at 90 psi, too. This air impact wrench has a twin hammer mechanism and a forward/reverse switch so you can quickly change directions. It also has an adjustable power regulator. The handle features a rubber grip, and it is for one-hand use only. No need to fuss with both hands for the controls! It has an exhaust at the bottom of the handle. Since you can locate this in the lower part of the handle, it won’t get in the way. It is quieter than most air impact wrenches. The directional switch is somewhat inconveniently placed. It might get in the way when you’re using the tool since it moves a bit too easily. The rubber housing picks up dirt easier. The Ingersoll Rand 231C has a twin hammer mechanism and an adjustable power regulator so you can adjust the output. Change it up for a power output that is appropriate for your needs! It delivers a maximum torque of 600 ft. lbs. It also has a rotational speed of 8,000 rpm, letting you finish tasks at an impressive rate. It’s designed to be lightweight and compact for less fatigue during extended work hours. It also prides itself in how it is easy to maintain thanks to its 2-piece design. It weighs 5.8 pounds and is only 7.3 inches long. The 2-piece design makes maintenance hassle-free. It comes fully lubricated when you buy it so you can immediately start using it. The instructions that come with the product are not very informative. It isn’t suitable for first-time users. However, information is available online, so it shouldn’t be too hard. 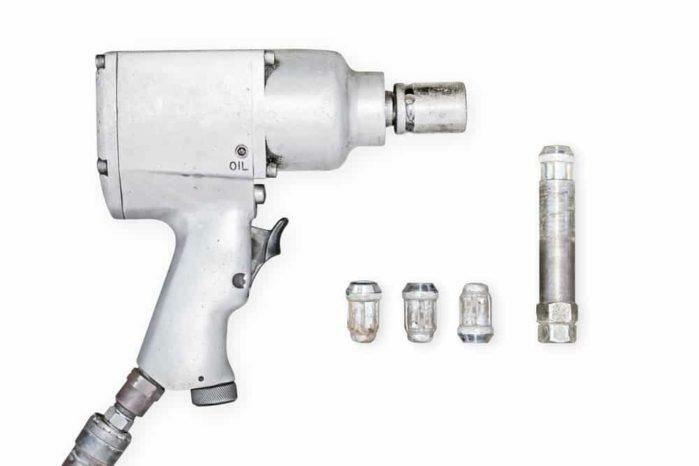 This air impact wrench from Campbell Hausfeld provides a maximum of 550 ft. lbs. of torque. It also boasts an 8,000 rpm speed. It’s reliable and will get you through those tough jobs you have to do. Its twin hammer impact mechanism reduces vibration so operates smoothly. The handle is soft and comfortable, perfect for extended use. It also only weighs 4.4 lbs., so it’s extremely lightweight. Your hands won’t feel sore. It has a speed regulator which you can set between small, medium, or full power either forwards or in reverse. It’s very light at 4.4 lbs. It’s relatively quieter than other impact wrenches. These are namely small, medium, and full power. It is relatively weaker compared to other impact wrenches. It’s better for jobs that aren’t as heavy-duty. The exterior paint flakes off easily. It might cause some mess. It doesn’t affect the performance of the tool as it is only a purely aesthetic problem. It does not have a warranty indicated. This air impact wrench from AIRCAT packs a punch at a maximum of 1,295 ft. lbs. of loosening torque. It has a maximum working torque of 900 feet pounds and a speed of 9,000 RPM. It also markets itself to be relatively quieter than other impact wrenches, only emitting 86 dB of noise. At 1,400 blows per minute, this is one of the strongest ½-inch impact wrenches available on the market. It’s also lightweight, and the handle has an ergonomic design for ease of use. It comes with a 2-year warranty on parts and labour. It has a 2-year warranty for parts and labour. At 86 dB, expect this to be quieter than most impact wrenches. That is ideal for the most heavy-duty projects. It has three-speed settings for tightening. It only has one speed setting for loosening. The ACDelco ANI405 impact wrench comes with an aluminium alloy exterior for durability that doesn’t compromise its weight. It offers a maximum torque of 500 feet pounds and a free speed of 7,000 rpm. It has three forward speed settings and one reverse speed setting. It also has an exhaust found at the bottom of the handle. You can locate knob that adjusts the speed and direction at the back. This impact wrench comes with a 1-year limited warranty. It’s easy to find and use the setting your project requires. It’s weaker than the other impact wrenches. That makes it unsuitable for tougher projects. It’s a bit on the heavier side. If you’re looking for a powerful air impact wrench, look no further than the AIRCAT 1150 Killer Torque impact wrench. Its power and speed have got you covered for a variety of projects, from light home improvements to stubborn fasteners. It’s pricey, yes, but this is well worth your money. Not exactly willing to shell out that much cash? T﻿he ACDelco ANI405 impact wrench is also a great option for those on a budget. That is especially excellent if you don’t plan on working on heavy-duty projects. With buying tools, it’s important to take note of its cost and if the features seem like it’s worth the price. Expensive doesn’t always mean better, but it’s a good indicator that the product comes with high-quality materials. 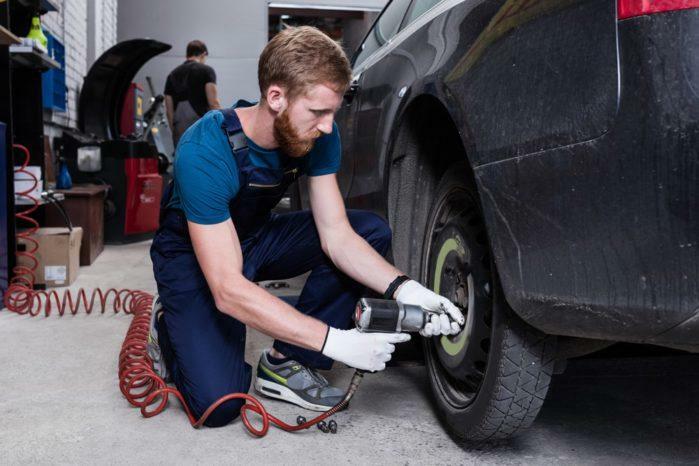 In the end, it all comes down to how well you take care and maintain your air impact wrench.